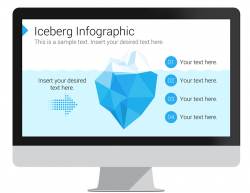 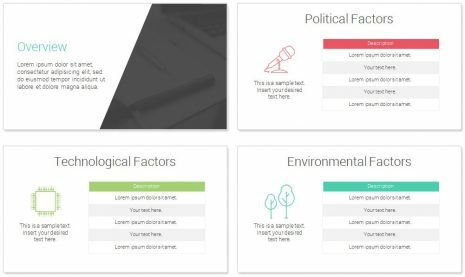 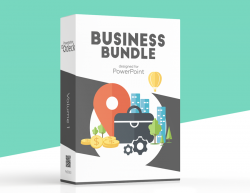 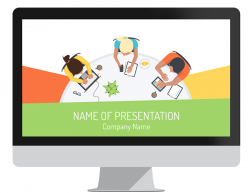 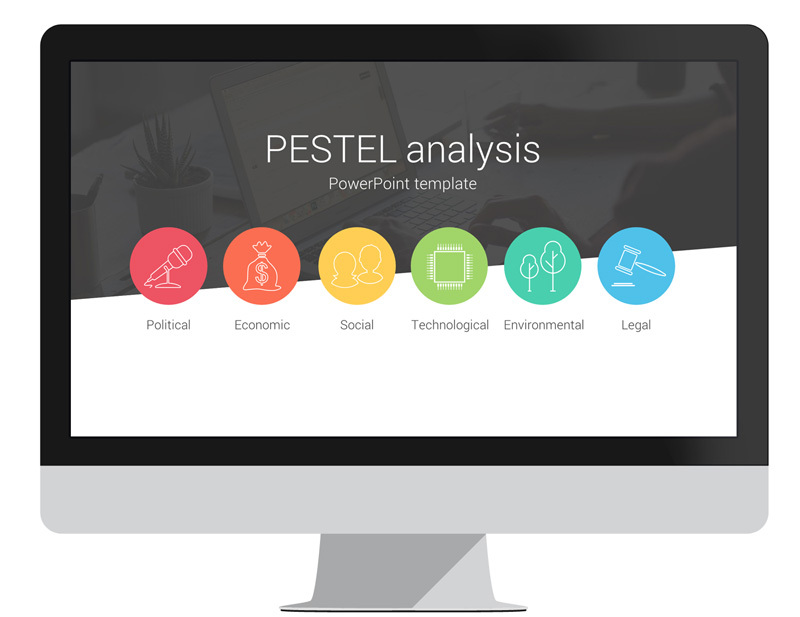 PESTEL / PEST PowerPoint template with 16 pre-designed slides in flat design style. 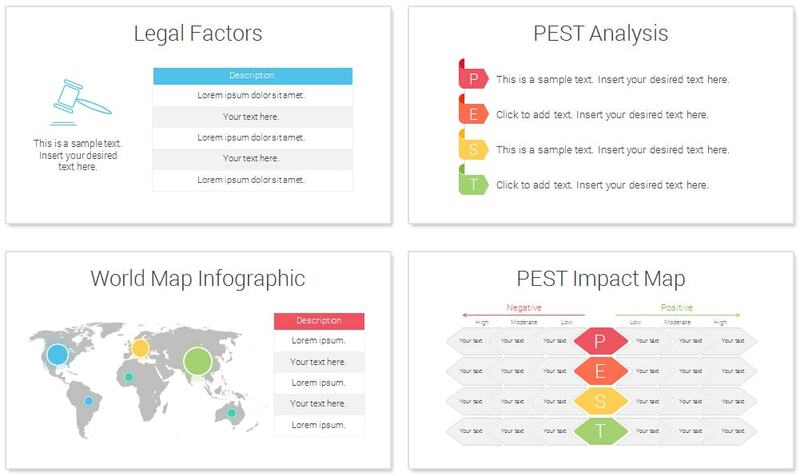 This template is handy to analyze from many different angles any product or service. 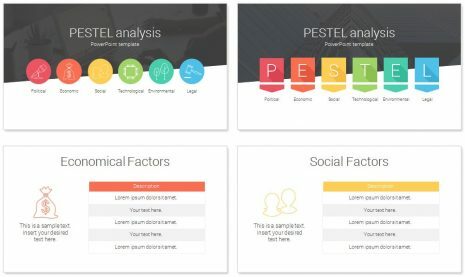 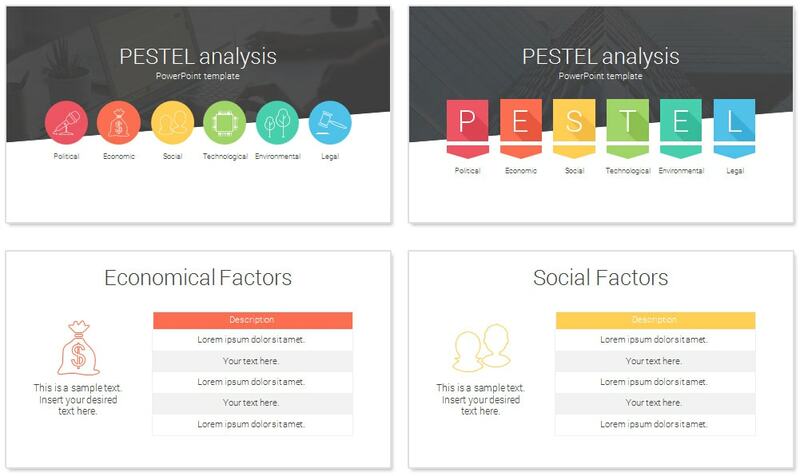 PESTEL is a strategic framework to get an overview of the different macro-environmental factors. This deck includes all the slides you need; political, economic, social, technologic, environment, and legal factors. 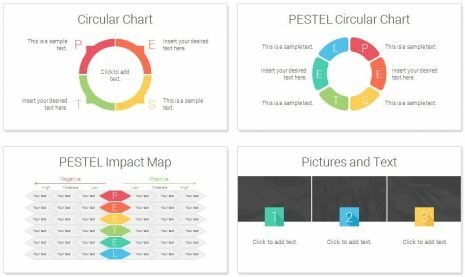 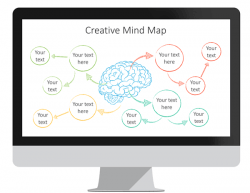 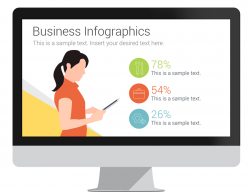 Also includes a world map infographic, circular charts, and PESTEL impact map. 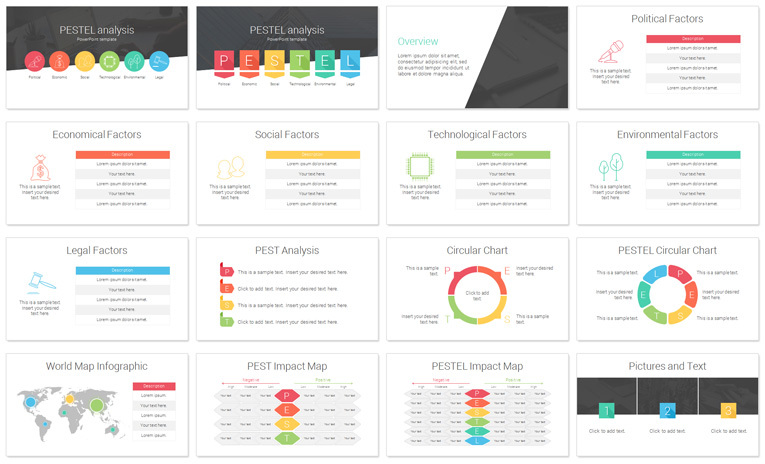 See also our SMART Goals PowerPoint template which also includes a SWOT analysis.